One could only be miffed at the concept of actually thinking of recommending what would be the umpteenth sequel/installment to the Rocky series, a series of films that has no doubt had its ups and downs in quality and viewer bearability, but against all odds, I am about to do the unthinkable and HIGHLY recommend Creed. This seventh installment finds the former champion Rocky Balboa serving as a mentor and trainer to Adonis Johnson, the illegitimate son of his former late friend and rival, the great Apollo Creed. The film is quite formulaic, and thankfully so. 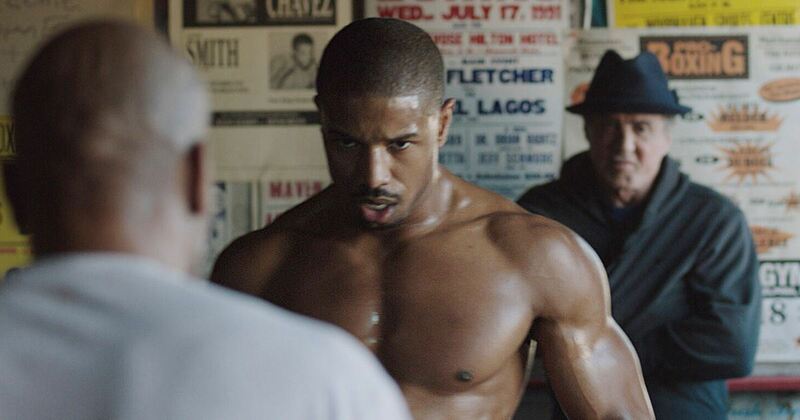 It doesn’t try to break new ground – but its familiarity is very well served by its multi-racial story and breakout performance by Michael B. Jordan. Additionally, director Ryan Coogler proves he’s no flash in the pan, continuing his winning streak off Fruitvale Station. Coogler shows he is just as comfortable with a mid-range studio film as he is with a small indie film. It may be close to 40 years since the original underdog Rocky blew into town (39 years to be exact), but Sylvester Stallone never had a finer moment than that 1976 “little film from nowhere” (though he has had a brilliant action/adventure / middling drama career ever since). Stallone’s Rocky is at the core of this film and with it he has given Rocky Balboa new insights and new life as a character. He also has fought his was to a best supporting actor Oscar nomination – it's true, no joke.